As a coffee connoisseur there is no getting around our espresso blend. 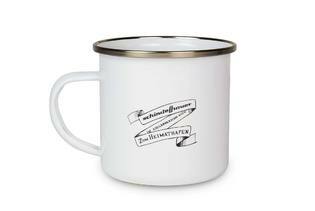 With this classic enamel cup you can now savour it with style. 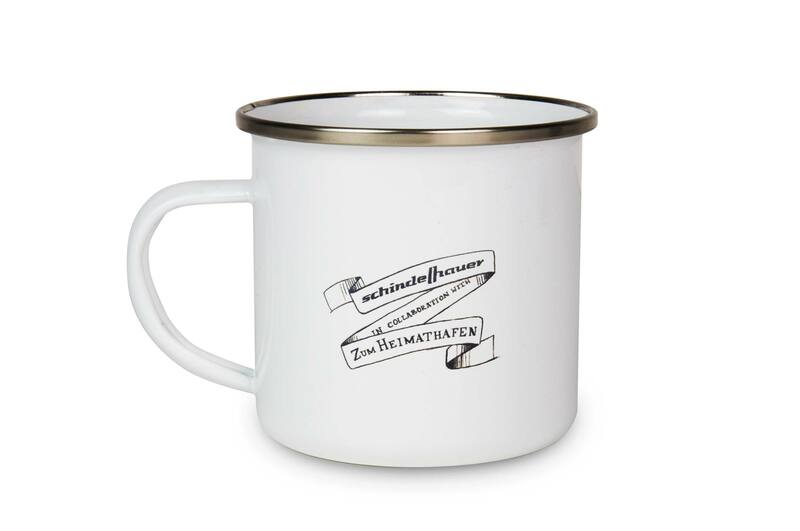 "Zum Heimathafen" from Hamburg and Schindelhauer make a great team for years now. 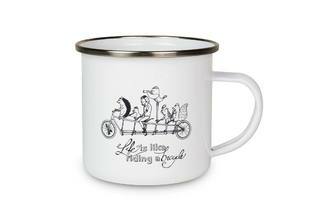 And that's how this cup with its lovely "life is like riding a bicycle" drawing has popped up. The cup is made of enamelled metal and is perfectly suited for your next bicycle adventure, for a camping trip, or simply to enjoy a hot cup of coffee on a cold day at home.